Wow! This could have been a good book. 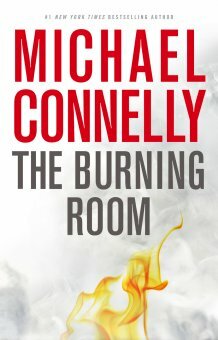 The story was good, Harry Bosch was his old self, and the character of Soto as his partner was a good fit. Maybe I have read too many detective novels, but Connelly felt compelled to describe, in detail, every police procedure used in the book. He also gives us enough clues in the beginning to make the ending obvious. When he tries to throw us a curve, it serves only as a temporary diversion from what we knew was coming. The worst part is that after showing us what is happening through good dialog, Connelly proceeds to repeat the point just made by telling us what was said. I had to keep taking deep breaths in order to not give up halfway through. In addition, he repeats himself several times, saying the same thing twice if not more, he repeats himself several times. It was as if he stopped writing, came back later to write some more, and had forgotten what he had already written. So my question is, where was the editor? Not only were there typos, but any editor would have caught the repetition and had it corrected. Maybe a better question would be, what happened to the Michael Connelly that wrote great thrillers like “The Poet”? This one, sadly, gets two stars. After being disappointed in the last few books by Connelly, it is nice to see him back in his past form. He is a good story teller, I would not say suspenseful, but he weaves a good story. 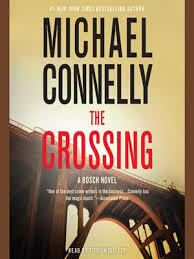 Harry Bosch is one of my favorite characters to read about and “The Drop” is a good example of his mindset. My only negative comment is in the editing. It seems as authors become famous, editors get sloppy. There are several phrases that are repeated and should have been caught by an editor. But that aside, the novel reads fast and kept me intrigued, it only took me a day to read it. Connelly does leave a few threads undone, but then that just makes us anxious for the next book.